I’m one of those people who panics if I don’t know where my next source of food is coming from. If we’re going out for the day, I like to research nearby restaurants and cafes. If we’re going on a long drive, I’ll pack snacks, and also check out en-route eateries. Even going for a hike involves checking if there’s a tearoom at the end. If there isn’t, then I’ll rustle up a quick picnic. Last time we went on a family walk, I heated up some leftover pasta bake to take in our food flasks – all made complete with little tubs of grated cheese! What can I say. Food is life!! Needless to say, I’m also often looking at ways to make tasty lighter food, so I don’t burst out of my clothes. 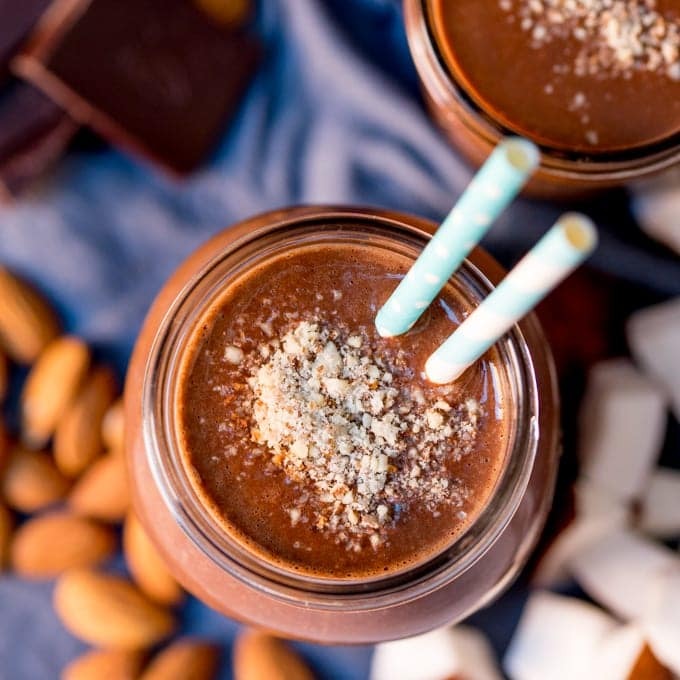 I go through stints of workouts, healthy (ok, healthier – with weekend treats) eating. I’d be the size of a house if I didn’t. There’s no doubt in my mind that I’m addicted to food. People who aren’t really fussed about what they’re eating aren’t my people. I’m not sure why, but even if we have other things in common, the food thing is a problem. I once considered getting hypnotised to reduce my food obsession. But it seems so wrong to try to get rid of something you love so much. Could you imagine if I got hypnotised and it really worked? If I wasn’t fussed about food any more? There goes my blog, my business, the majority of my hobby time, and a lot of the good times Chris and I have! He went through some serious stomach issues a couple of years ago that left him not hungry for about 3 months. Yeah, he lost weight, but my god he was a pain in the backside. Making a lovely meal for the family and he just wasn’t into it. Going out shopping or sightseeing, and then just ordering a cup of tea at the amazing bakery. Sitting down to a movie after the kids had gone to bed, and not feeding him chunks of my large Dairy Milk. It was tough!! I will always count myself lucky to have him as my husband, no matter what the future brings, but I have to say, when he started to get better? It was the most enormous relief! I felt like I got him back. Gosh, that turned deep quick didn’t it. Basically I’m saying that all food has to taste great and be enjoyable. Too much of it is obviously a problem, but trying to live off a restricted diet would make me way more depressed than that muffin top. 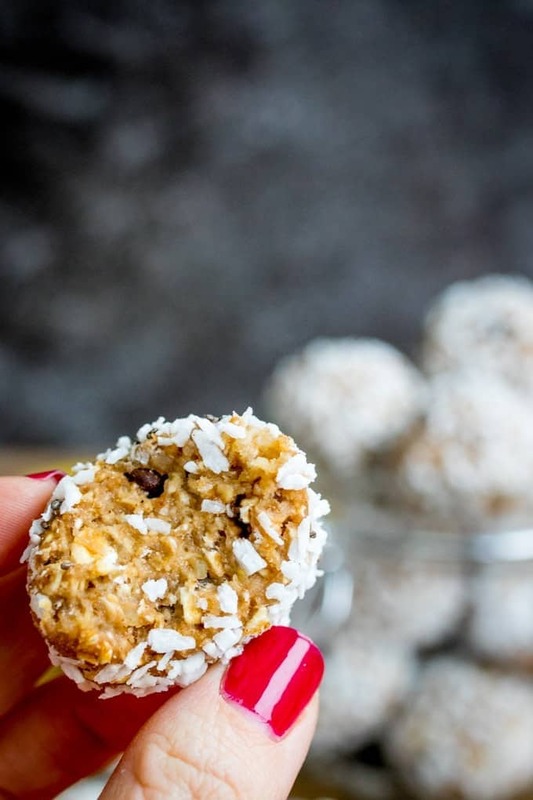 Little swaps (like a sugary cereal bar for one of these energy balls!) 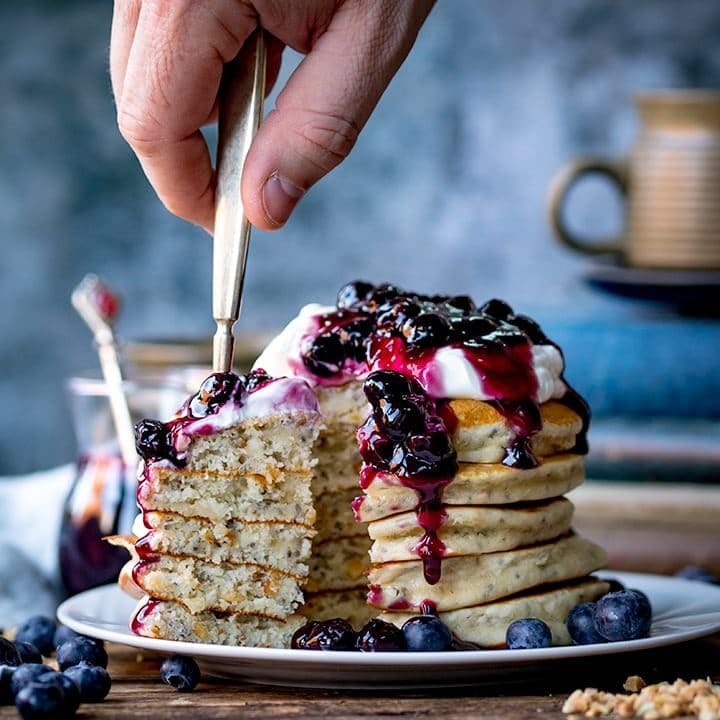 here and there, a bit more exercise, making sure I get to the stage of hungry before I eat – that’s probably the only ‘diet’ I would realistically ever be able to stick to. 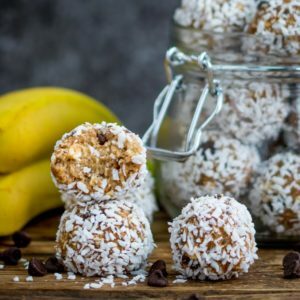 These energy balls still have all the taste – with banana, chocolate chips, cashew nuts and coconut – but there’s plenty in there that’s good for you, whilst still being satisfied enough not to reach for the Dairy Milk (exept for the weekends of course, then I’m all over that chocolate). 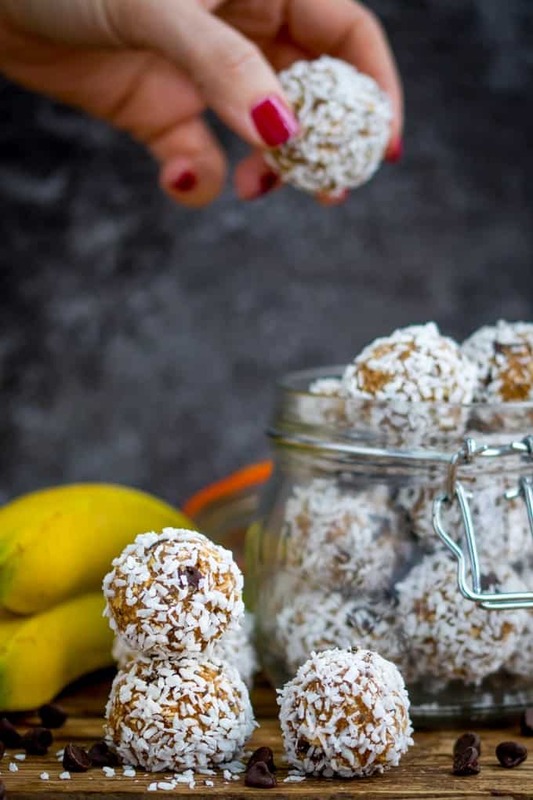 Try my apricot and white chocolate energy balls too. Super scrumptious!! 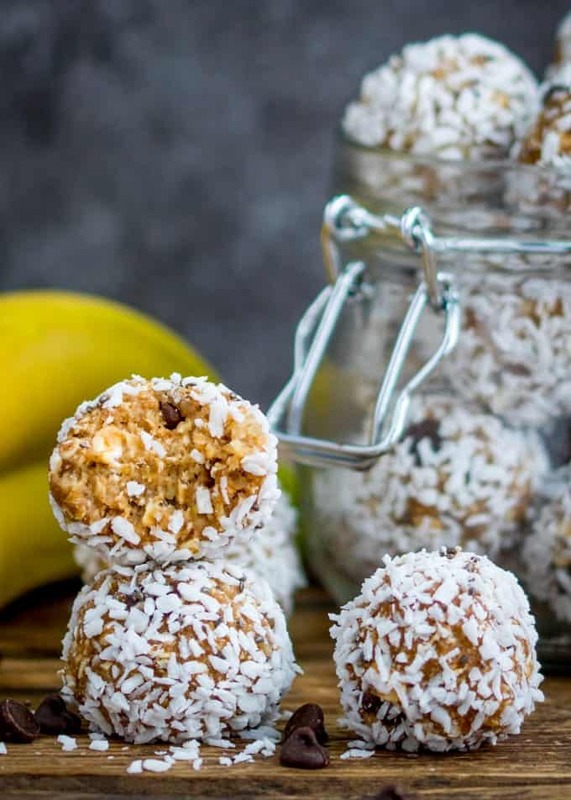 These no-bake Banana Bread Energy Balls are packed with delicious goodies. 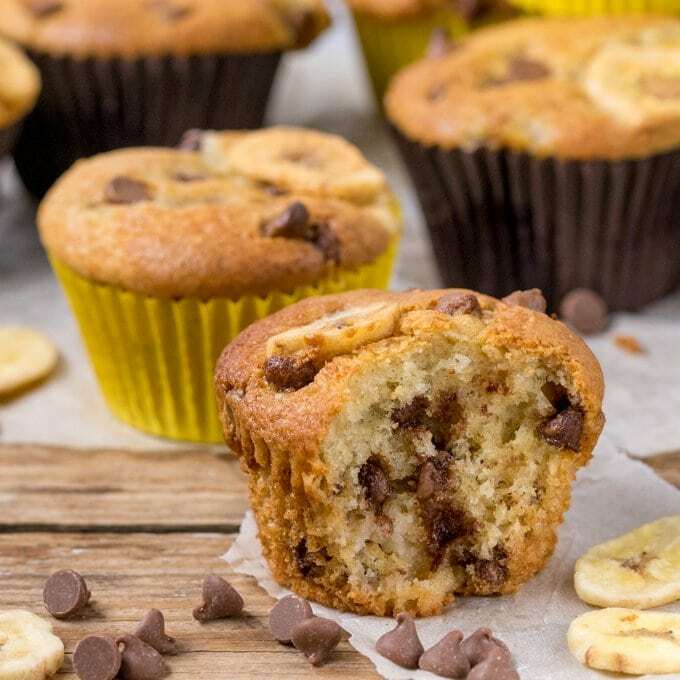 Perfect for breakfast on the run! Gluten free too! Place the cashew nuts into a food processer and pulse until it turns to a grainy paste. This paste will help the mixture stick together. Add the rolled oats and pulse again for a few seconds to break up the oats a little bit. Add the bananas, and pulse again until fully combined. Stir in the ground almonds, then add the chocolate chips, vanilla extract, cinnamon and salt. Stir again until combined. You should have a thick, sticky paste, that can be rolled into balls. If the mixture is too loose, stir in an extra spoonful of oats. Place the shredded coconut and chia seeds into a shallow bowl and mix together. The chia seeds will sink to the bottom, that’s fine. Scoop a heaped teaspoon of the mixture into your hand, then roll into a ball. Roll around in the coconut mixture, pressing down a little so the coconut sticks and a few chia seeds also stick. Place on a plate or tray. Repeat until all of the mixture is used. Eat immediately, or store in an air-tight container at room temperature. The banana balls should keep for 2-3 days. Nutritional Information is per energy ball. Love these grab and go energy balls, fab flavours. Love these! I also live to eat although I do fast twice a week (because of this!!). 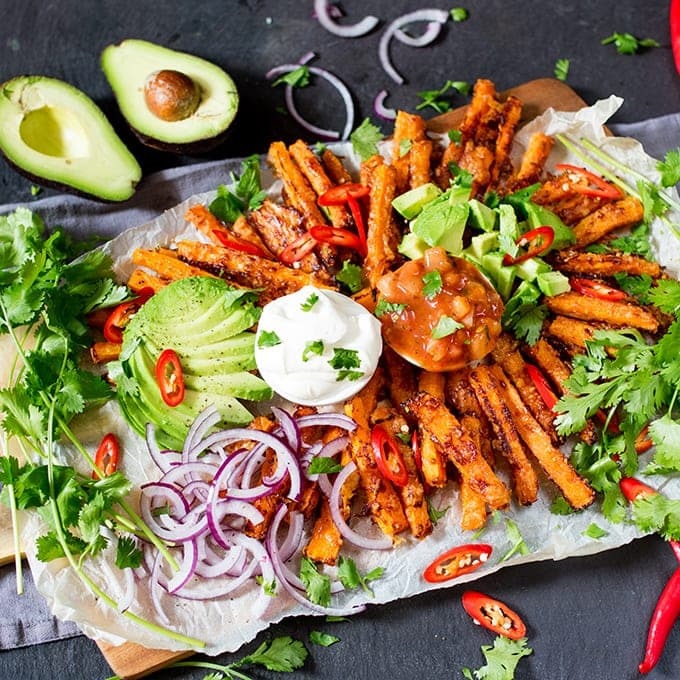 I absolutely love this page, I’ve cooked so many of your meals/bakes, keep up the good work!